Settlers arriving in Ohio after the Revolutionary War found themselves in frequent conflict with native peoples. The Indians were defeated at Fallen Timbers in 1794 and forced from their lands. Early settlers farmed the land. During the 1800s, the state became a leading producer of rubber, glass, machinery, and steel. Ohio is still the leading tire maker in the country. The Erie, Shawnee, and Kickapoo Nations lived on the land that is now Ohio. French explorer Robert de La Salle was probably the first European to explore the area in 1670. 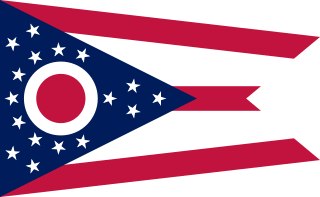 Most people in Ohio supported the Union during the Civil War. Those that did not were called “copperheads,” like the snake, waiting to strike. The National Underground Railroad Freedom Center memorializes the Underground Railway, a group of people who helped slaves escape during the 1800s. Between 1869 and 1923, seven of 12 U.S. presidents came from Ohio. Central Ohio is home to the world’s largest Amish population. The Cedar Point Amusement Park in Sandusky, Ohio, had the tallest and fastest roller coaster on earth for several years. The park is known as the Roller Coaster Capital of the World. Answer: For its many buckeye trees. The nuts on these trees resemble a buck’s eye. Watch a video about Ohio. Declan, Tobin. " 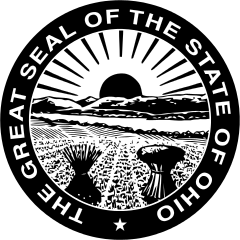 Facts for Kids about Ohio ." Easy Science for Kids, Apr 2019. Web. 25 Apr 2019. < https://easyscienceforkids.com/ohio/ >.